If you are going to track people, the Hussar™ Tag series will be a good choice. Slim Tag is the smallest and slimmest active tag which is convenient to be carried around. It can be placed inside a name badge or carried by a key chain. Card Plus Tag is in smart card size which fits labels of standard ISO card size. 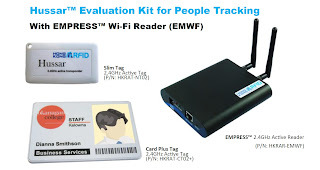 It incorporated both active RFID in 2.4 GHz and passive RFID in 13.56 MHz (NFC-compatible), enabling a wider range of applications. 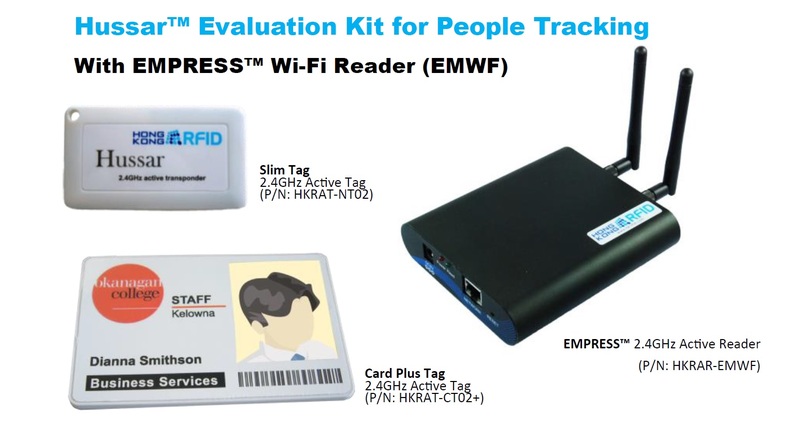 You can now test the suitability of these two tags for people tracking with the newly introduced Hussar™ Evaluation Kit that contains a few Slim Tags and Card Plus Tags. Apart from hardware equipment, the Kit also includes a SDK (Software Development Kit). A demo program in the SDK lists the tag ID sent from the tags to the reader so as to keep real time tracking of people who are carrying the tags. You can make use of the SDK to further develop software program which best suits your application.